What happens when an artist is always daring in their approach and matches it with great talent? Great success. Justin Christopher is the perfect example of an artist always being innovative and making incredible music doing things his way. He was one of our Top Five Artist to Look Forward to in 2019 and has had consistent smashes on Global Money World. If you want to know why he is deserving of this look no further than this incredible new record "Virus". Justin Christopher has a style about him that is daring and creative on "Virus". The production has that right bounce that Justin snaps over with the right amount of charisma and ease. He maneuvers through the beat with his creative lyrics that he's known for, and that fans love as well as expect from this talented artist. 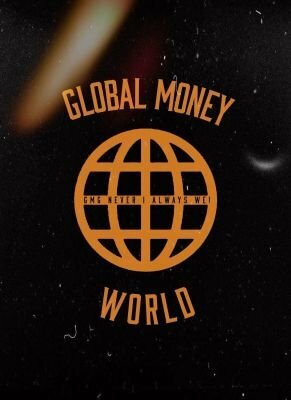 Justin Christopher's "Virus" is the perfect start for his 2019 on Global Money World that will sure be huge for this talented artist. The charisma and bravado on the mic is ever so present, and you can hear it in his vice he knows he's one of the greats. This song is a statement and we here Justin Christopher loud and clear. Check out Justin Christopher "Virus" below and follow him on Twitter. Stay Global my Friends!